Familiar with companies that have a noble edge? Sure you are. 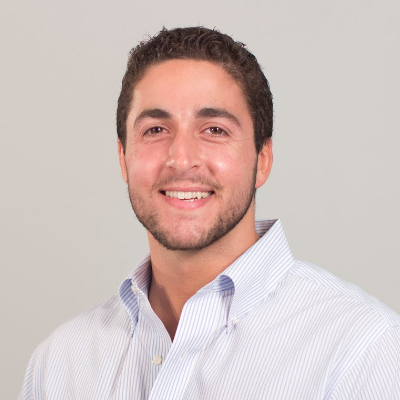 They’re some of the most successful ecommerce companies out there right now. And their social responsibility is one huge reason they’re raking in the cash. Who’s Buying the Good Will? Millennials, on the whole, are a more socially conscious demographic. This is less evident in the actions of individual consumers and more obvious in the success of socially conscious companies. Companies — ecommerce or traditional brick-and-mortar —have historically done well when participating in charitable causes. Those causes weren’t necessarily a part of the brand, however. Now, we see companies founded on social responsibility visions and missions first, with profit a seeming distant second. Consumers love to see that charitable aspect, but they don’t want companies bragging about it. Marketing with content about all the good you’re doing will fall on deaf ears. Just like every author thinks his book is the best ever, so does every company think their charitable actions make them admirable. We want to hear it all from someone else. Cognitive Lode performed several studies. Two are enough to prove the point. In the first, a group of people was asked to rate the taste of a particular wine. Half were told the winery donated to charity. The other were given no additional information. Those who believe the winery to be socially conscious rated the taste of the wine higher than those who had no additional information. There is a caveat, of course. Some consumers will have more experience with your particular product, as was the case with the wine drinkers. 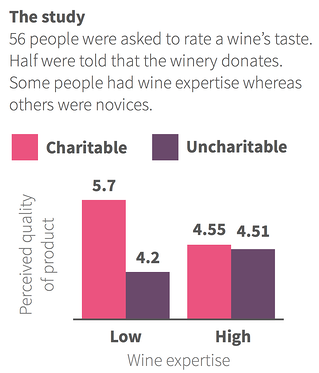 However, even the wine connoisseurs who believed the winery participated in charitable giving were more likely to rate the taste of the wine better, though the margin is a great deal smaller. But what about the marketing aspect? Do people really balk when you toot your own charitable horn? 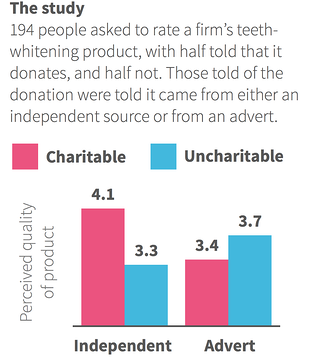 In another study, a group was asked to rate a tooth-whitening product. Some were told by other people that the company was socially conscious. Others were informed by marketing materials. As you might imagine, those who found out from outside sources were more likely to believe the company’s giving nature. If you sign up for B-Corp, you’ll join the ranks of some pretty successful socially conscious brands. It’s a great first step, but you’ll go through a pretty rigorous process. Be ready to prove your ability to change the world, as well as your willingness to put your charitable cause first at all times. Next, state your mission clearly. This is not the place to call attention to your greatness. Instead, simply state who will benefit when your products are purchased. Will you provide water to people who go without? Will you clothe, feed, or educate the needy with each purchase made? With your giving structure in place, step back and let the sales begin. Word of mouth will carry you on. You probably think immediately of one: Toms Shoes. Some might even say they made the noble edge cool. They’re not the only ones out there, though. Warby Parker provides eyeglasses to the needy every time a pair is purchased online. They concept of buy-one/give-one is definitely a popular one. Then there’s Cole and Parker, which donates proceeds to fund loans to entrepreneurs in developing countries. Raintees plants a tree in an endangered forest AND helps donate school supplies to children in need for each purchase. Patagonia donates to various environmental organizations. Your options definitely aren’t limited. How will you put the Noble Edge into effect for your ecommerce company?